Another Rouge Bunny Rouge item I picked up during the sale was the Chronos Palette. I've been eyeing it for a few years and was happy to finally get it. RBR metallic & shimmery eye shadows are among some of my favorite, they are very easy to wear shades that flatter many skintones. Five sparkly shades at once was too good to pass up. It comes in a hard case with a double ended sponge tipped applicator which I usually would set aside, but sponge tips are actually very handy for packing on RBR's complex shimmers. All five are shades that I would use. Left to right: a sparkling beige, a shimmery tan, a satiny/shimmery olive, a blackened violet metallic and a blackened blue metallic. Swatched on top of Rouge Bunny Rouge Pristine Light Primer*, while slightly damp. I think that you need a slightly wet/sticky base to really make them pop. 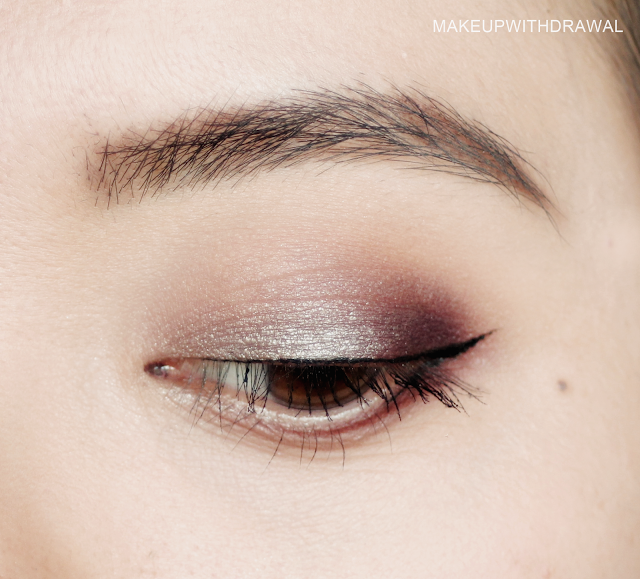 The three shades on the right have blackened bases, and it really enhances the jewel tones. These are no different from my other RBR shades in that they are very long wearing. My favorite use of this palette is to pick one shade and to use it with dark matte colors (this ends up being Viseart 99% of the time). Here I've used the two neutral sparkley shades with Viseart Dark Matte. 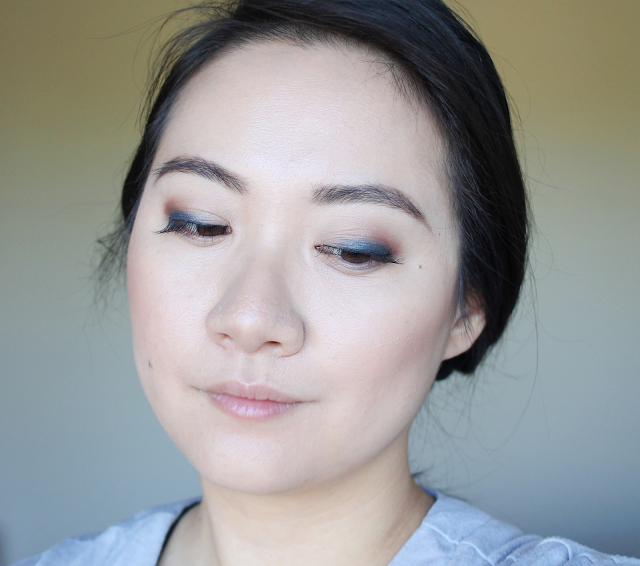 Here I've used the blue shade with warm sienna tones from the Viseart Warm Matte palette. It makes the blue look less teal and more royal blue. On top of RBR Pristine Light Primer and also NYX Glitter Adhesive. False lashes. 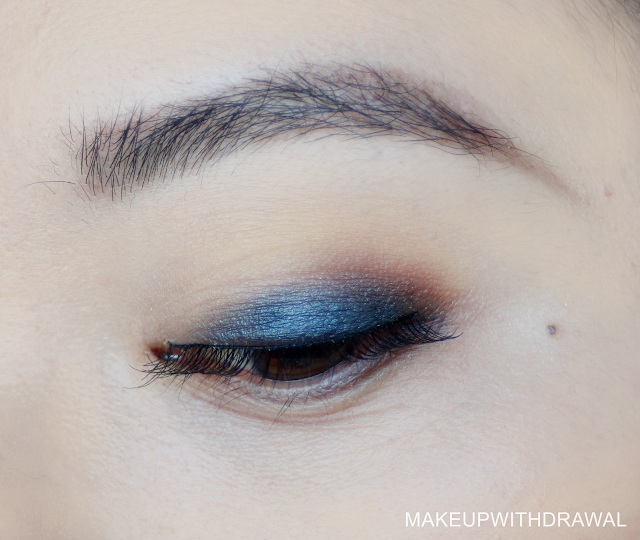 This also makes a pretty fabulous smokey shimmery eye. Here I've applied Rouge Bunny Rouge Long -Lasting Duo Cream Eye Shadow in Birdwing Beauteous* as my base (the shimmery champagne side). I just dotted a little on my movable eyelid, close to the lash line. 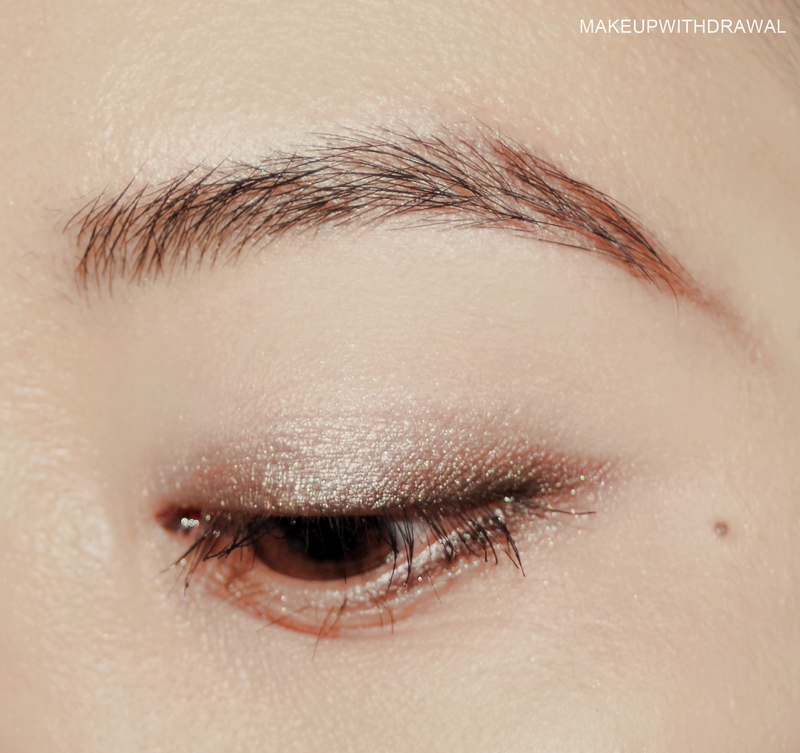 Then I used a dark brown eyeshadow near the lash line (Viseart Cool Matte) and patted on RBR Chronos' lightest sparkling beige shade. I've used these shadows quite a bit since I bought Chronos three months ago. I've created little dips in all the shades (on the side of the little hummingbird, of course!). This quint of gorgeous shades used to be $59. It's currently on sale for $41 and change. Oh! 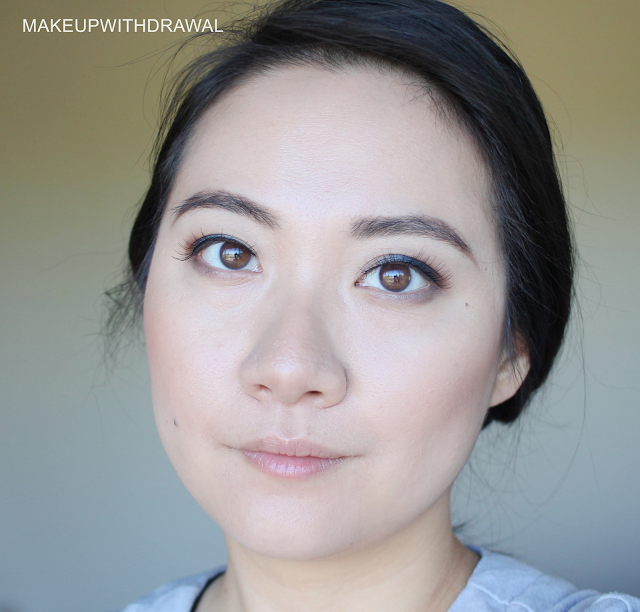 Also blog readers can enjoy 20% off their orders with code RBR-MAKEUPWITHDRAWAL20 (valid through 2017) on top of that, bringing Chronos down to $33. No affiliation, just happy to share savings on one of my favorite brands. Rouge Bunny Rouge products can be purchased directly from the brand's website. Do you have a small palette where you like wearing all the shades? *indicates a press sample. Product featured in post was purchased by me. For additional information, please refer to my Disclosure Policy.